We’ve all done it before – get so lost in reminiscing that we lose sight of the fact that the past is dead and gone. However, for some people, the struggle is even greater. They cannot seem to break out of the past and stay shackled to those all too often negative memories. It’s a terrible place to be, without possibilities and without joy. 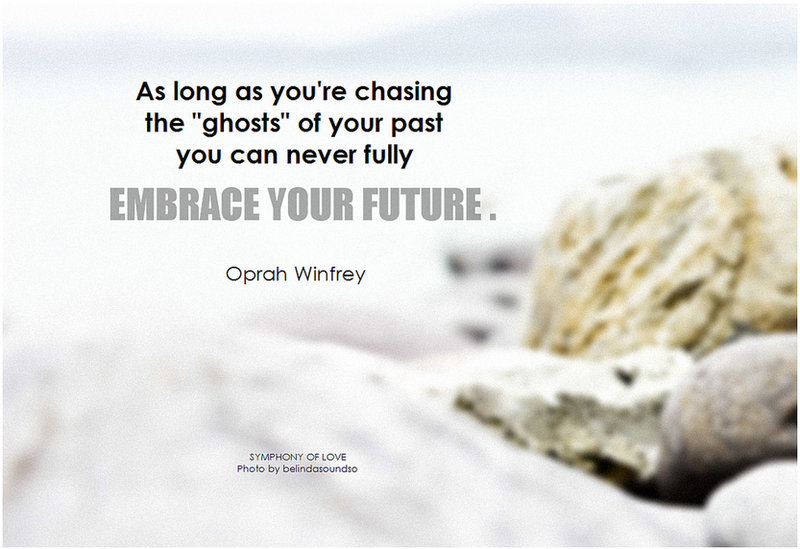 Thankfully, you don’t have to stay chained to your past. Here are five ways that you can wake up to the present. This is one of the hardest things for many of us to learn, but once mastered, it offers an incredible amount of freedom. Let go of the past. It’s dead and gone. It cannot be changed, and once you begin to realize that on the deepest level, you will begin to be able to let go of those past moments. It’s natural for the brain to focus on the past, particularly those painful or embarrassing memories, but actually realizing the truth will help set you free. One of the most important keys to stop living in the past is to completely focus on each moment today. Practicing mindfulness, the purposeful focus on your thoughts and feelings throughout the day, helps ensure that you’re engaged in the now, the only moment that you can control. The past is gone and the future hasn’t been written yet. Live in the now and you’ll find that your enjoyment of life is much greater, that those painful memories fade away, and that you have control. This one can be a challenge for some – realizing that you are not your thoughts. Those thoughts stem from your ego, which is part of you, but not the sum of who and what you are. By learning how to objectify those memories and that small voice whispering in your ear that there’s something wrong, you can begin to move past them, to put them to rest. You’ll find that those memories no longer seem so important or painful. Don’t just live in the here and now. Work to build a positive relationship with your inner self and learn not to let your ego victimize you. When you focus on the past, and let the darker memories color your present and future, you’re actually glossing over the most important parts of your life – those small moments between the big things. Life is made up of little bits, and when you focus on the past, you miss out. You’re not living. You’re merely going through the motions, a puppet pulled by the strings of memory. Realize that you’re missing life, that the legacy you’re leaving for others is not one of happiness and involvement, but one of inner focus and sadness. In order to move beyond the past that shackles you, it’s vital to learn how to forgive. Whomever wronged you, forgive them. Forgive yourself as well. Give yourself permission to move on, to put the past where it belongs and to focus on today. Forgiveness is a powerful tool, and one that every person should use on a constant basis. There is no reason to stay shackled to those sad, painful or bitter memories. Life is here and now, today. The past is dead and gone. Forgive, move beyond, and understand that you are not your thoughts, and your memories have no control over your current actions. This entry was posted in articles, Motivation, Spirituality. Bookmark the permalink.